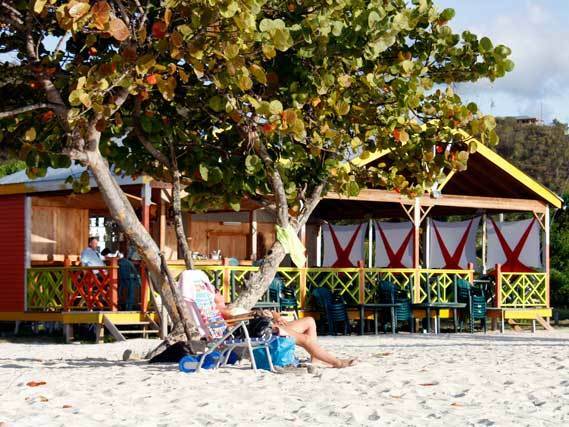 The Nest Beach Bar & Restaurant, our favourite on Valley Church Beach, has reopened after a summer break. They will be open seven days a week for great food, cooling drinks and a relaxing beach experience with outstanding sunset views. Guests staying at Hamilton Estate receive the benefit of NO CHARGE for use of the beach loungers at The Nest. However, there is no such things as a free lunch and their Coconut Shrimp is probably the best on the island and well worth the investment.